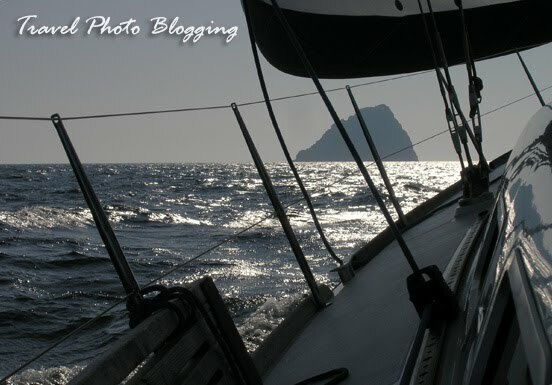 One of the goals of our last sailing trip was to sail around Jabuka island. Actually it is not so very special. 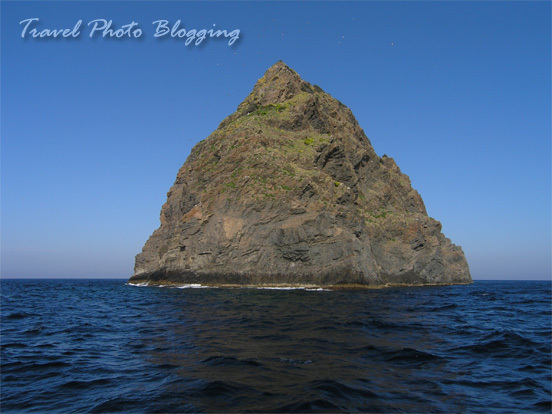 This rock in the middle of the Adriatic sea can hardly be called an island. It really is small. We tried to sail there a couple of times before but never made it all the way around. Well this time I am proud to say we did it. When we were closing in on the island we noticed an interesting thing... Some of the navigation devices on our boat started to act weird. For instance autopilot kept loosing direction. At first we thought it was some random electronic fault but after a while we realized only compass-based devices were having problems. It was not a coincidence. Jabuka island was to blame. As we learned later on, it is a volcanic island and one of its main building materials is magnetite - the most magnetic of all naturally occurring minerals on Earth. When they hold a sailing regatta in those waters competitors even have to switch between radio channels because some of them simply stop working around the island. I guess this is a bit like what the Bermuda triangle must feel. As I said all of this didn't stop us and we made it around there and back without much trouble. We had perfect winds and nice sunny weather. Nevertheless this trip took most of the day. When we were looking for a place to spend the night it was dark already.